Who would you rather hire: a guy to build your new website and another guy to build the hardware infrastructure to run your new site? Or one guy who can do both jobs? Hence…the explosion of the full stack developer. With the knowledge to handle both user interface and back-end implementation, you’re a double-threat in the job market. You can get that kind of background with all the info stuffed into this Complete Full Stack Developer eBook bundle. It’s on sale right now for just $29 (over 90 percent off) from TNW Deals. 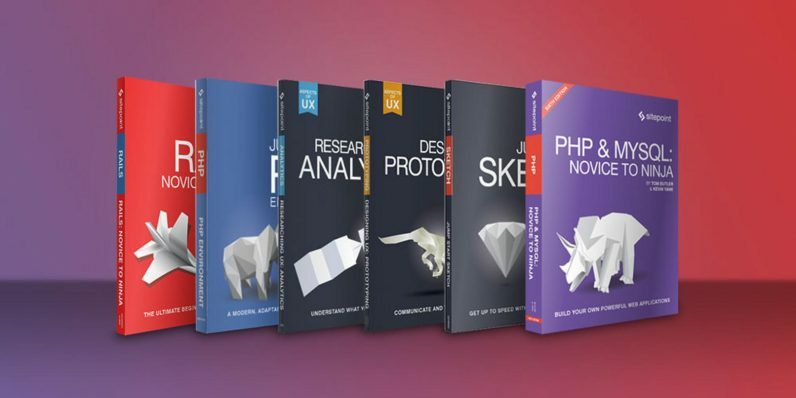 Dive into this 16-book collection and you’ll be carried through the entire web development lifecycle. You’ll start with making sure you’ve got the basic understanding to know and use a variety of programming languages and tools like HTML5, CSS3, PHP, Git, and more. Meanwhile, you’ll also tackle some of the hardware and integration issues that always exist for back-end web engineering specialists. Your training will cover integrating databases, optimizing performance, and learning the tools and methods used for networking security, including debugging and testing. Once you’re finished, these 16 books will have carried you end-to-end in the web creation process, a ridiculously valuable skill set for anyone seeking top-notch web talent. These eBooks would cost you $29 individually, which is why you shouldn’t sleep on this chance to get 16 books for the price of 1 — just $29 while the deal lasts.